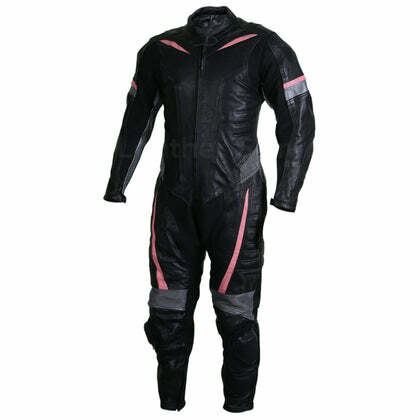 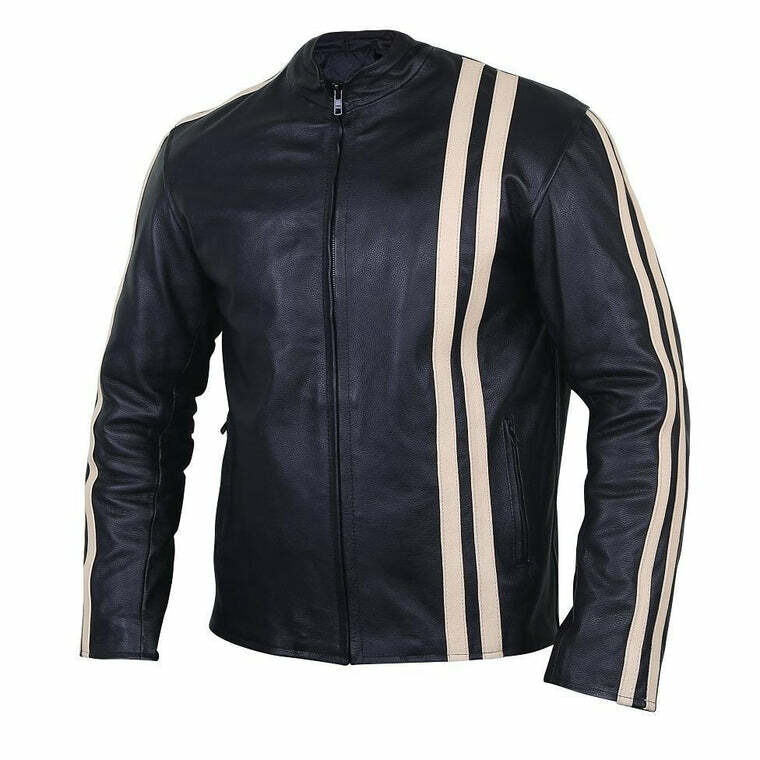 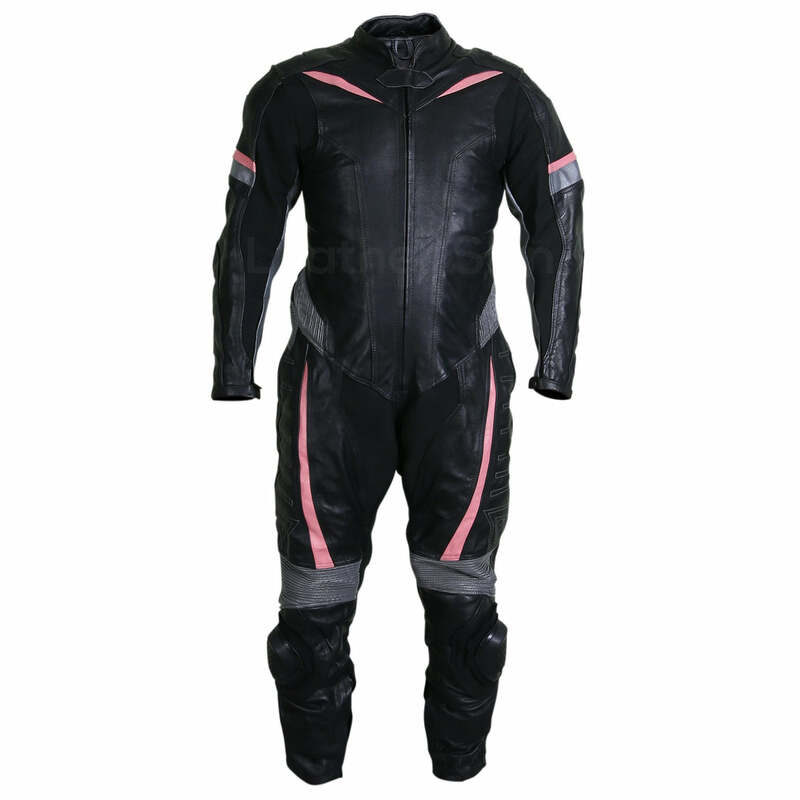 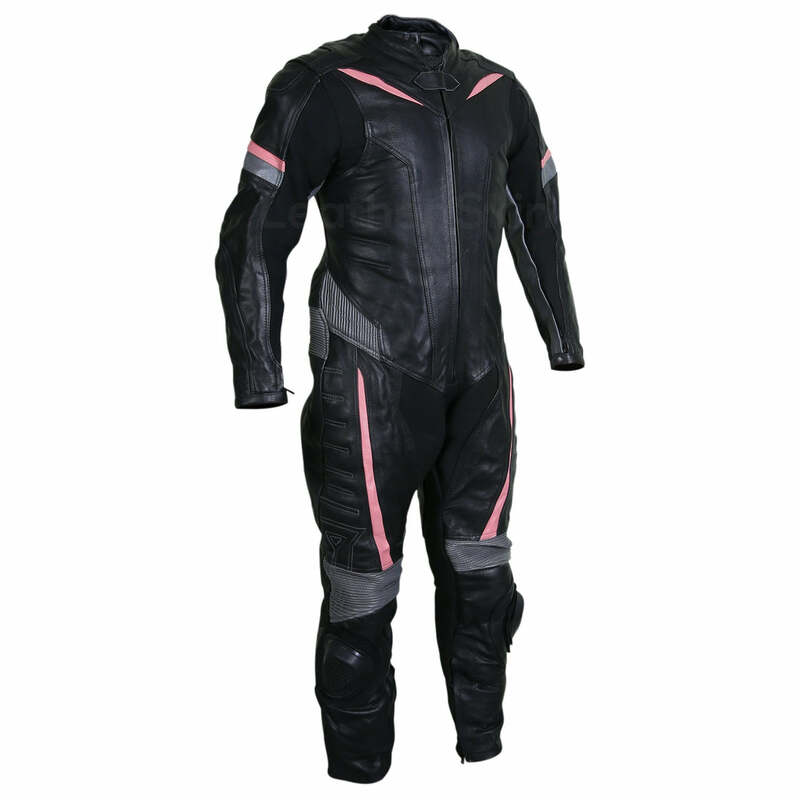 If you’re looking for the coolest motorcycle leather suit, then this black motorcycle leather suit with grey and pink stripes is a great pick for you. 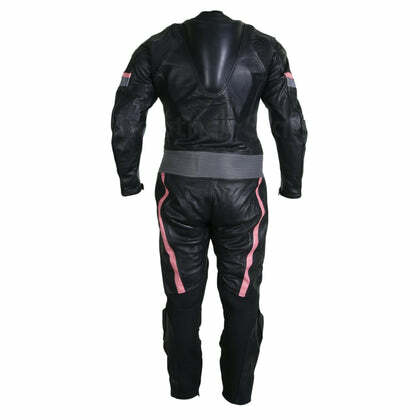 It comes with zippers at the end of the sleeves and has CE approved protections. Made of high-quality leather, this black motorcycle leather suit has a pop of pink around the middle that adds to its appeal. 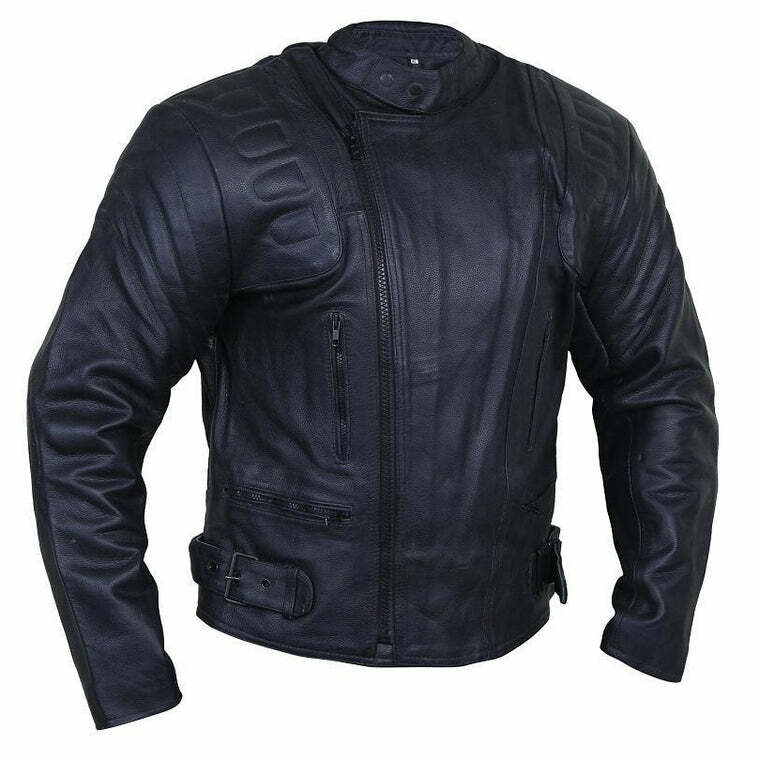 Men can never go wrong with black. 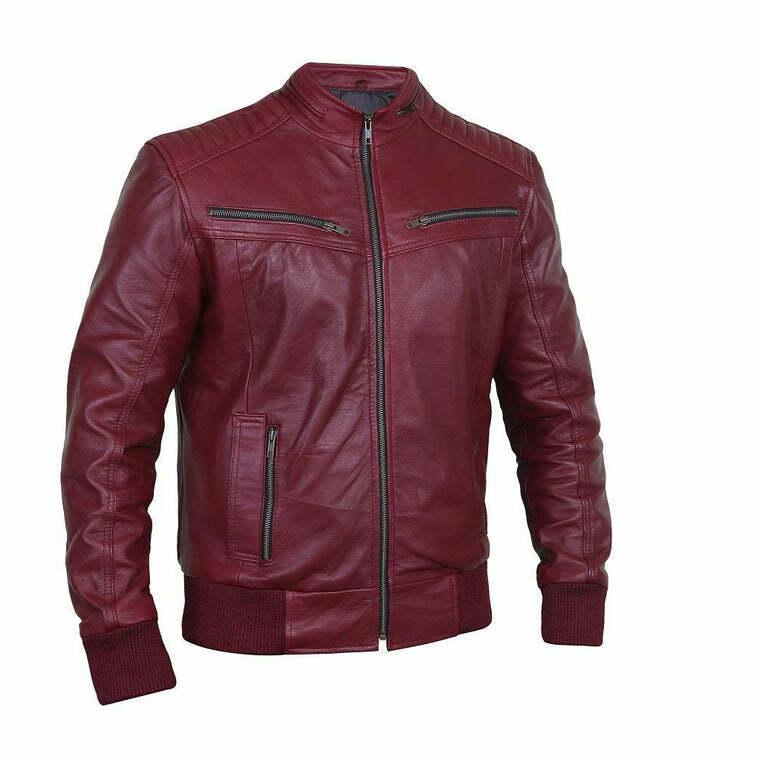 This leather suit is all you need to amp your style game. 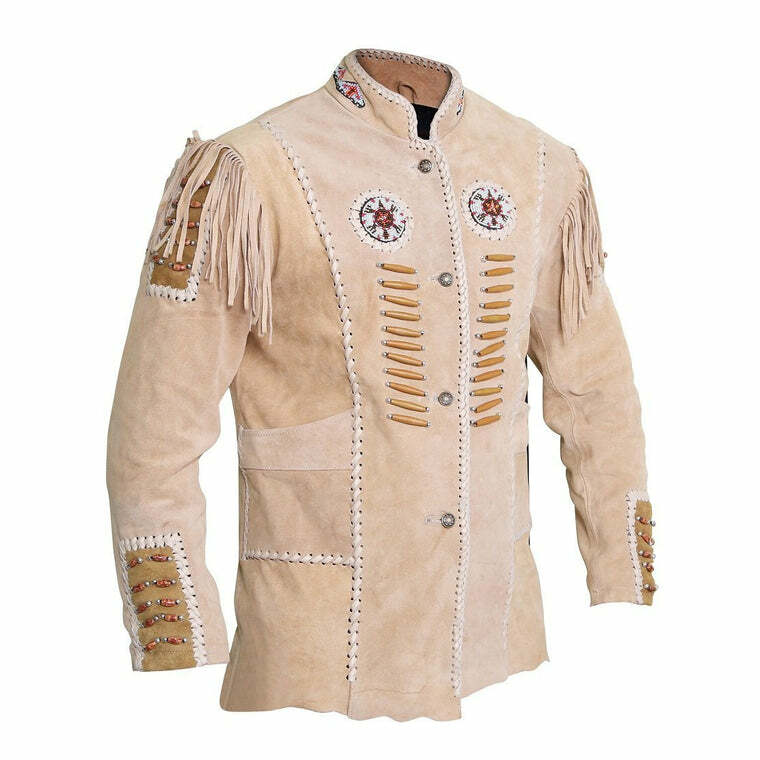 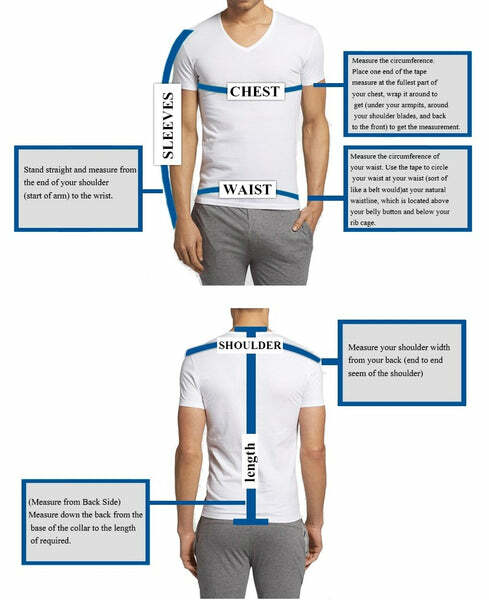 So for a man who has great taste in clothing and wants to leave a strong impression, this is the right style.